The Montreal-based startup Microsoft is acquiring aims to teach machines to read so they can get smarter on their own. The acquisition of Maluuba, a five-year-old startup, adds a trove of deep learning researchers to Microsoft’s already world-class artificial intelligence research group, and gives the company a stronger presence in Montreal, a significant hub of expertise in the field. As you’re imagining that future, be sure to check your current job description and whether it includes something like the work Shum describes. The potential economic dislocation wrought by AI, automation, and robotics is not just for blue-collar workers—at least not for long. Maluuba co-founders Sam Pasupalak and Kaheer Suleman say in a blog post that they have been on a mission to “solve artificial general intelligence by creating literate machines that could think, reason, and communicate like humans,” since they took an upper division computer science course at University of Waterloo in 2010. Maluuba’s approach has focused on deep learning and reinforcement learning applied to “machine reading comprehension, dialogue understanding, and general (human) intelligence capabilities such as memory, common-sense reasoning, and information seeking behavior,” according to the company’s blog. Maluuba, founded in 2011, raised $11 million in venture funding from Emerillon Capital and Nautilus Venture Partners. The company’s main products in 2016 include 15 peer-reviewed academic papers that focus on “modelling innate human capabilities such as common sense, creative thinking, and critical analysis;” “teaching machines to reason, infer, and synthesize from language in a non-preprogrammed fashion;” and “building machines with memory, conversation, and human-like decision making skills,” according to a year-in-review infographic. Maluuba co-founders Kaheer Suleman, CTO, left, and Sam Pasupalak, CEO. Image via Maluuba. In addition, Maluuba created and published huge language understanding datasets comprised of news stores, question-and-answer pairs, and conversation dialogues for others to use in machine comprehension research. Shum notes that the open sharing of such datasets is in keeping with his organization’s goal to “democratize AI”. He pointed to Microsoft’s own MS MARCO—for Machine Reading Comprehension—a question-and-answer dataset, released last month. Pasupalak and Suleman note the concentration of deep learning researchers in their city at places like the University of Montreal and McGill University, and the role their advisor Yoshua Bengio, who heads the Montreal Institute for Learning Algorithms, has played in the development of this cluster of expertise. Shum says that Bengio “will also be advising Microsoft and interacting directly with me” as a result of the acquisition. In addition to an engineering team in Waterloo, Maluuba’s Montreal lab consists of 13 PhD research scientists, five research engineers, and eight research interns—a trove of AI talent that Microsoft (NASDAQ: MSFT) is collecting in one fell swoop as it competes with other technology giants such as Amazon (NASDAQ: AMZN)and Google (NASDAQ: GOOG), startups, and academic and private institutions for the people capable of building these systems. 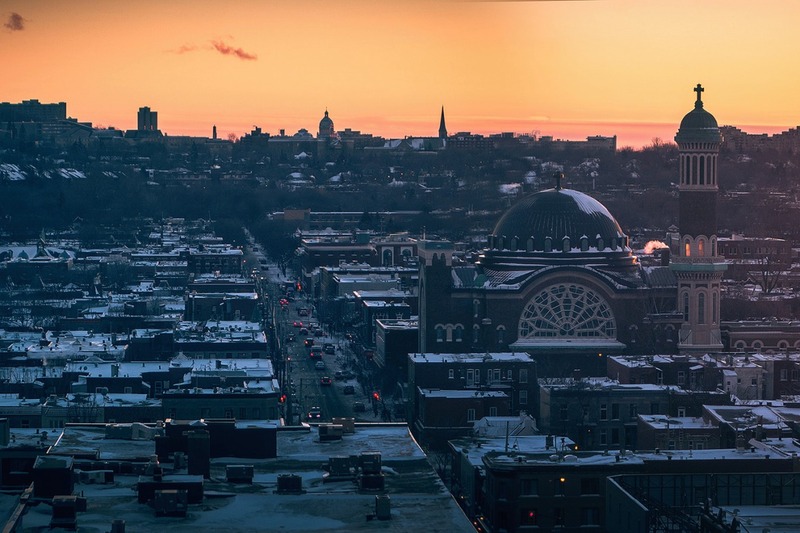 The Montreal skyline by Flickr user Chris A. Image cropped and used under a Creative Commons license.